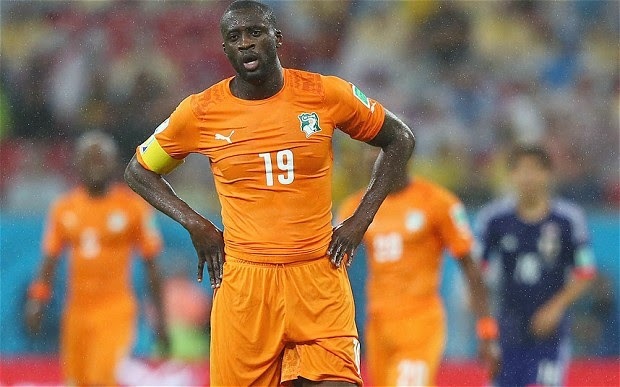 Ibrahim Toure, the younger brother of Ivory Coast players Kolo and Yaya Toure, has died at age 28 in Manchester, England. “Kolo and Yaya Toure just heard about the death of their young brother, Toure Oyala Ibrahim. The entire Ivorian delegation want to show their support to the players," the Ivory Coast Football Association said in a statement. Ibrahim also had experience as a soccer player, competing for teams in both Egypt and Lebanon. Ivory Coast next plays Greece on Tuesday. Against Colombia, Yaya was a captain, while Kolo did not play. There has been no word if the brothers will leave the team. There's a sad irony to the story. On Thursday, a rumor took flight on Twitter that the father of Ivory Coast's Serey Die had died just hours before the match. The rumor hinged on Die's emotional reaction during the playing of Ivory Coast's national anthem. But as it turned out, Die's father had died in 2004.